RIGIDCOLLAR(リジカラ) is a specially designed part made from tempered aluminum. Each product has been designed, produced and proven on actual vehicles. Compatible to approximately 882 models*, RIGIDCOLLAR(リジカラ) can be installed to cars from almost all car manufacturers. This is where the underlying problem was hidden. Majority of cars today are assembled on a production line. Car manufacturing is all about productivity with not a second to be wasted. Engine mounted subframes are raised by hydraulic lifts to be assembled to the car’s body as it moves along the production line, swaying and vibrating. This assembly must be securely done in a matter of a few seconds. In order to achieve that, taking into consideration the swaying and vibration of the body as it moves along the production line, car manufacturers around the world design the bolt holes used to hold the body and subframe together with considerable tolerance. Bolt hole diameters are larger than it actually needs to be for better productivity. The body rigidity of cars have greatly improve in recent years, however, this gap between the bolt and the bolt hole has largely been “missed” in the name of productivity. 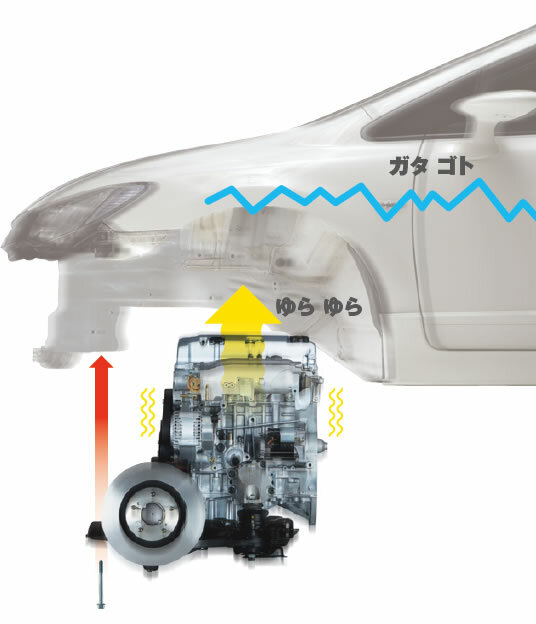 This gap is one of the main reasons that reduces the overall rigidity of the finished vehicle. 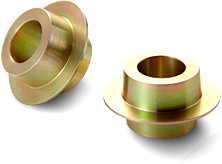 RIGIDCOLLAR(リジカラ) was invented as a functional product focusing on such bolt hole gap. The uniquely designed collars were the simple solution to solve this gap problem. We are confident that this product will bring positive results to your car as well. Please be intrigued to the remarkable effect and mechanism behind our RIGIDCOLLAR(リジカラ). Copyright © SPOON Inc. All Rights Reserved.